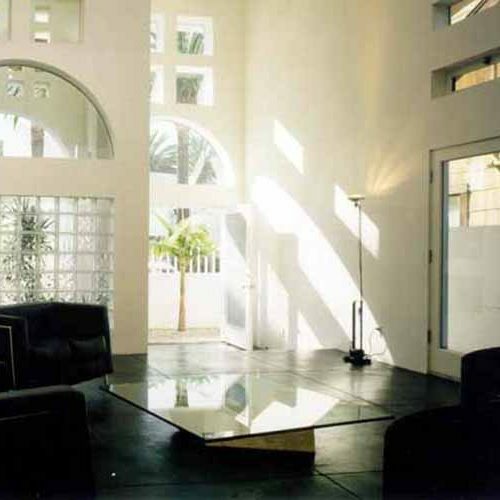 C Townhouse expresses Tanaka’s unique interpretation of the grand visions fostered by Abbot Kinney, the founder of the city of Venice. 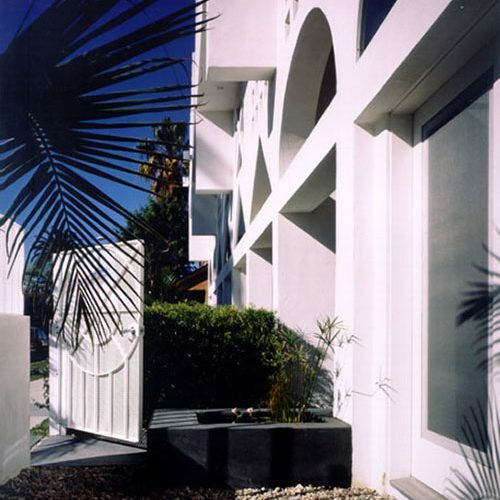 Kinney envisioned a resort town filled with elegant houses and vibrant culture along beautiful canals, and Cabrillo Townhouse has a reverence to such dreams in its own contemporary way. 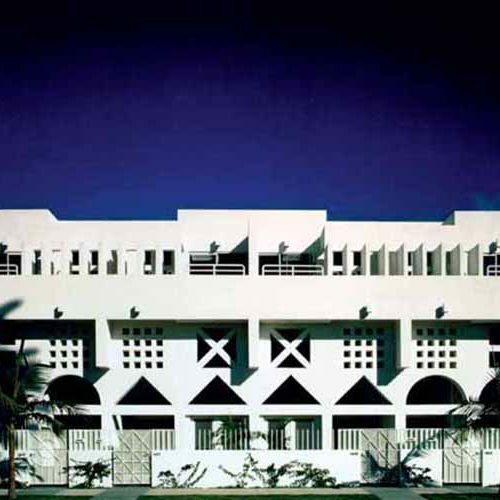 The architectural elements of the building, including the cutout pediments and arches, the fretted roof line, and the overall adherence to symmetry, are inspired directly from the local seaside architecture of the 1920s. 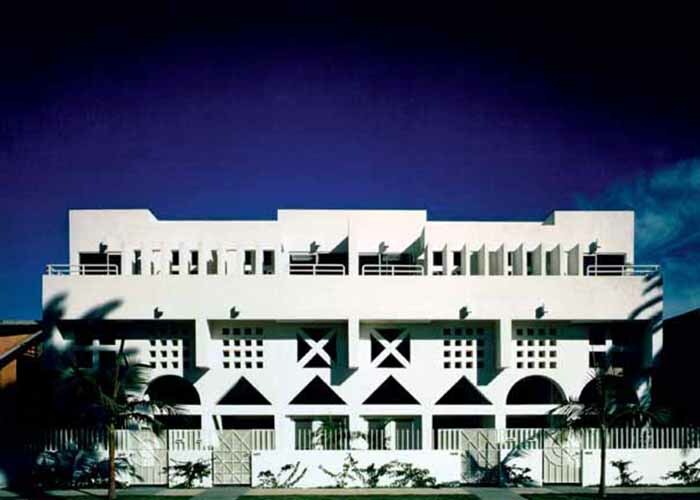 The bold geometric shapes that adorn the frontal façade of the building offer the provocative visual play of light and shadow across the surface, while diffusing the glaring southwest light and providing seclusion from the noise and bustle of the adjacent street. Each condominium unit contains open and versatile split-levels. 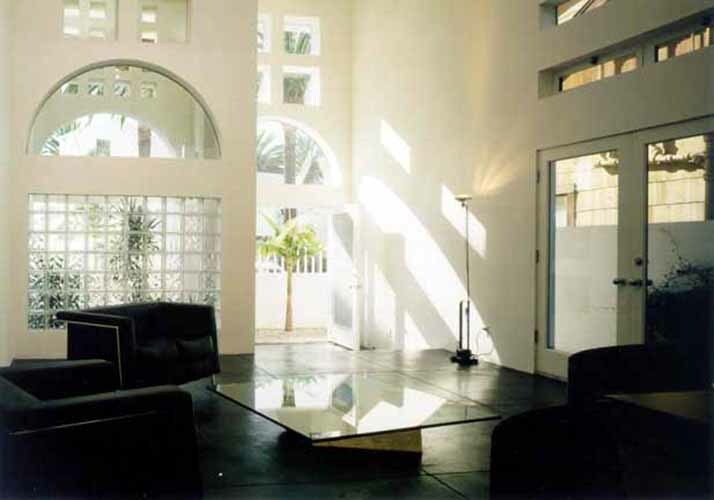 Passing through a small private patio and entry space, a sun-filled, double-height living room welcomes the visitor. 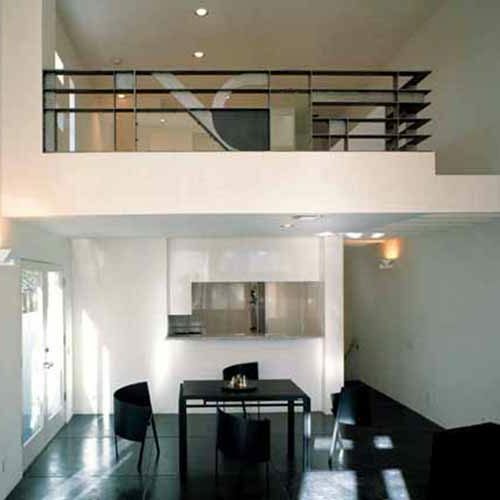 The front area also incorporates a mezzanine gallery over a semi-open kitchen. A sunken parking area behind has two smaller bedrooms above. 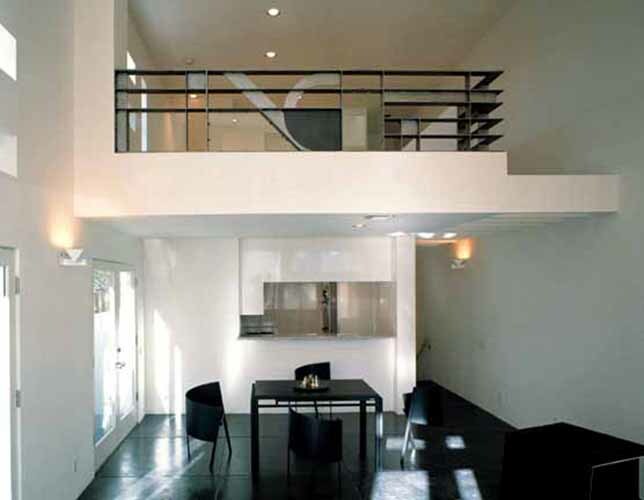 The second floor is the master suite, with a balcony opening to the street side. 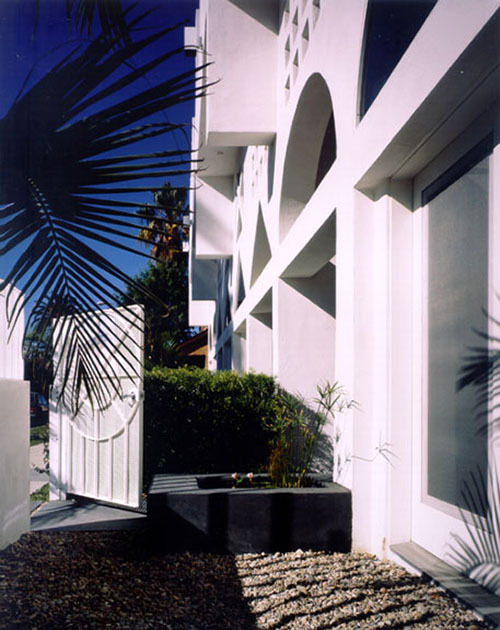 The 4-unit, 2,200-square-foot townhouse was completed in 1989.